About 5 years ago, I bought a sweet vintage roadbike called the Sutton Super 10. 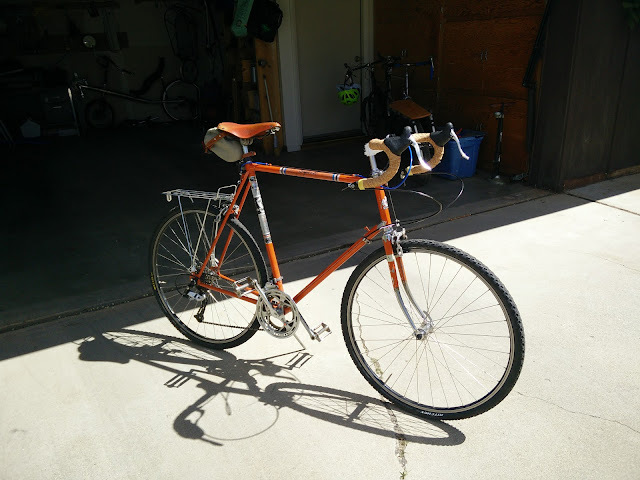 Not a lot of information is available for it online, but it appears to be a bike manufactured in Japan in the early 70's and was distributed in England. It had a bit of patina, but under the paint, there was a chrome plating that has an interesting effect where the paint has come off. 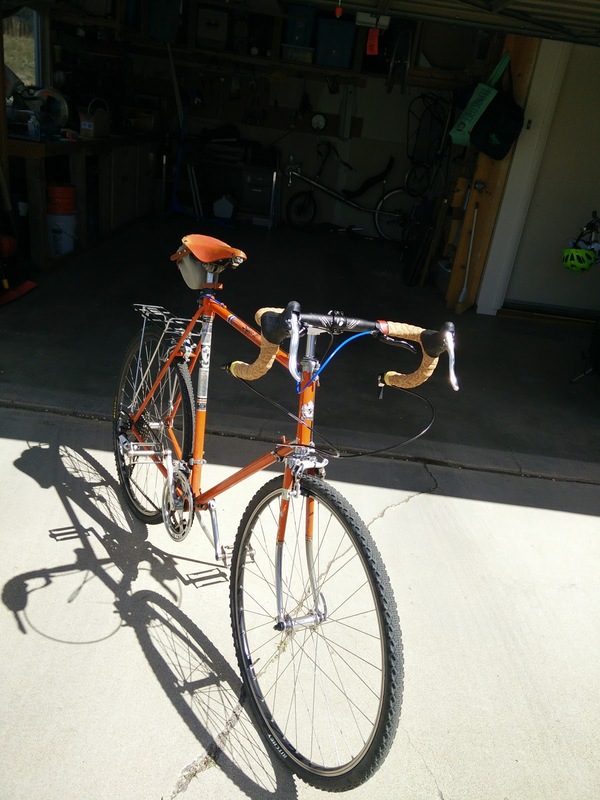 When it first came to me, it was a 2x5 speed with some fairly corroded 27" wheels, ancient Dura Ace brakes, a Sakae stem and handlebars, Eagle Stem Shifters and Derailleurs, and a Sakae seatpost. I immediately swapped out the old plastic saddle for a red Brooks B-17 to class it up a bit and traded out the warped front wheel for a newer 700cc wheel(Shimano 105 hub with a Mavic rim). Eventually, the rear wheel needed to be replaced as well due to corrosion and warping. I had the other Shimano 105/Mavic wheel, but this necessitated getting a new derailleur to play nice with the expanded gear range. Looking at the picture above, the derailleur hangar was an older style that required a claw type mount. 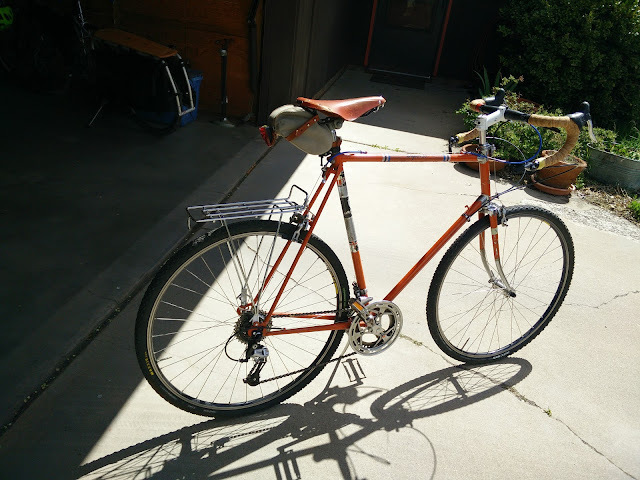 After poking around on http://www.sheldonbrown.com and http://www.harriscyclery.com for a while, I found the parts I needed. 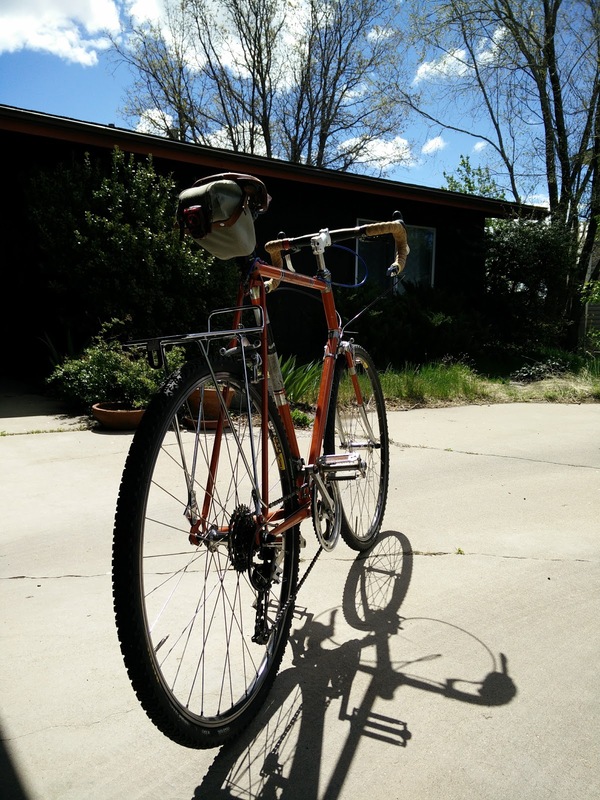 I installed a 9-Speed cassette and derailleur and used the original shifters. 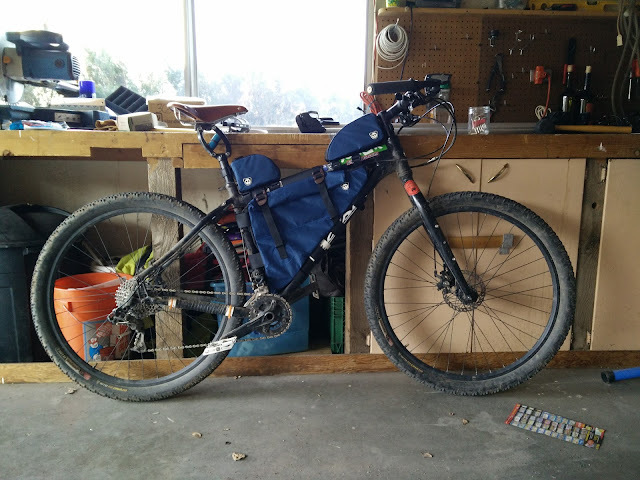 Since I was using new wheels, I may as well throw on some Ritchie Speedmax tires to make commuting in the cinder and sand filled bike lane easier. The Super 10 was now an 18-speed commuting machine. 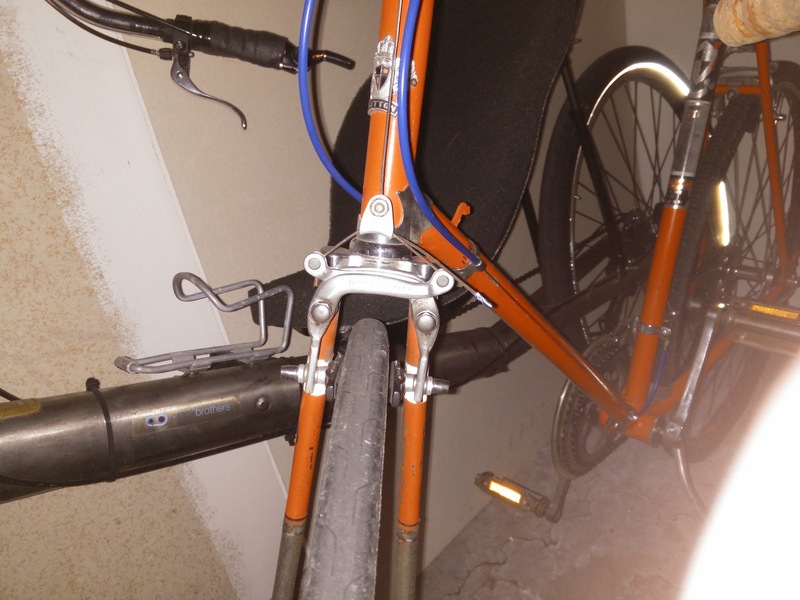 Unfortunately, things kept happening and constant upgrades had to happen to keep the bike safe. 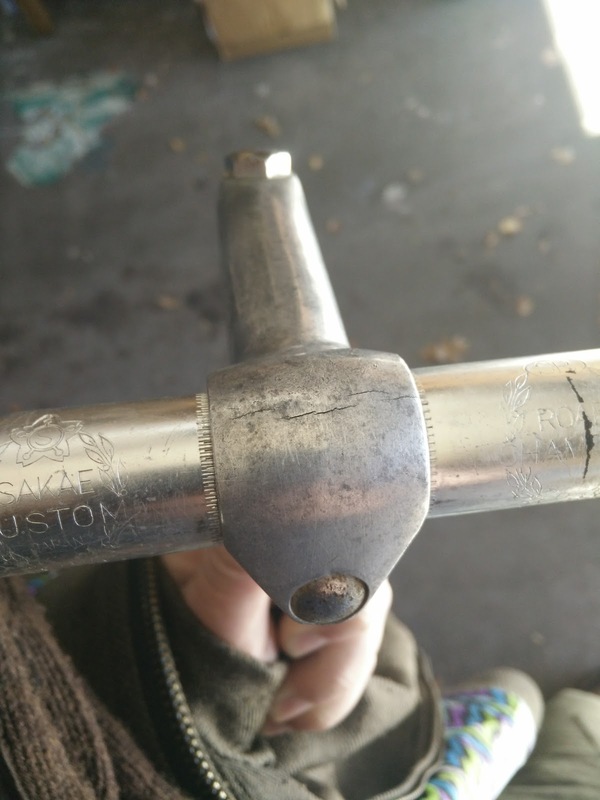 The stem finally cracked after around 40 years of use. This gave me a chance to upgrade the cockpit to something more modern. 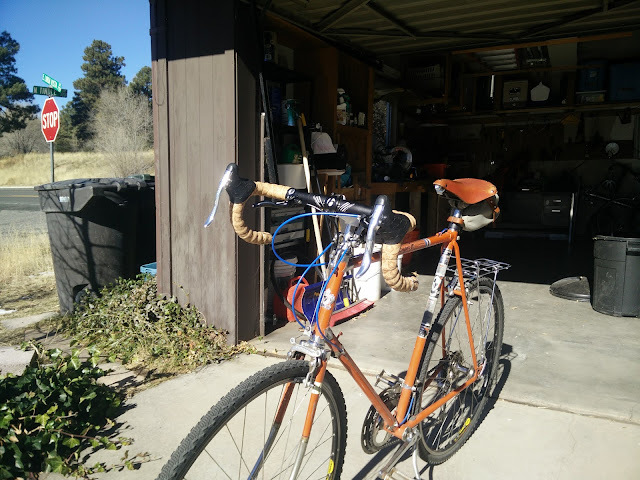 I had a quill stem to 1 1/8" adapter that I used to install a Bontrager stem and handlebars, cane creek brake levers and interruptor levers, and some nice cork tape but opted to keep the stem shifters because my sweetie said she liked them. Unfortunately, you guessed it, the problems with old parts kept coming. The stem shifters didn't play nice with the new stem and had to be replaced. 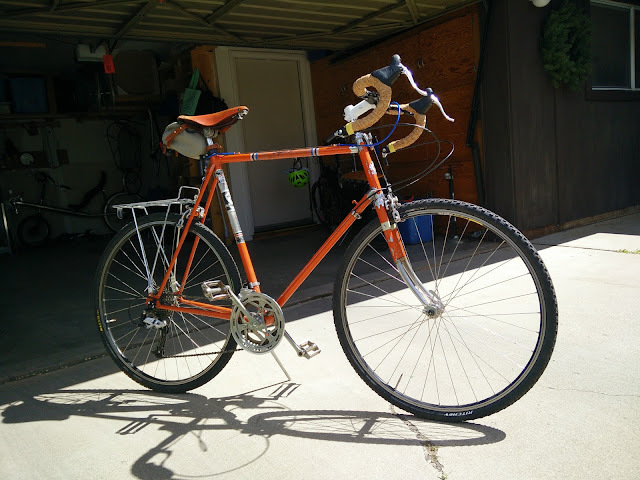 Time to upgrade to bar-end shifters. My favorite :) I picked up some 2x9 bar end shifter from my favorite LBS, Flagstaff Bicycle Revolution, whose employees have shown great enthusiasm and patience with me and my projects.